SEGA have announced that Yakuza 0 and Yakuza Kiwami are coming to PC, marking the series’ debut on the platform. The former launches on the platform on August 1st, with Kiwami coming later. 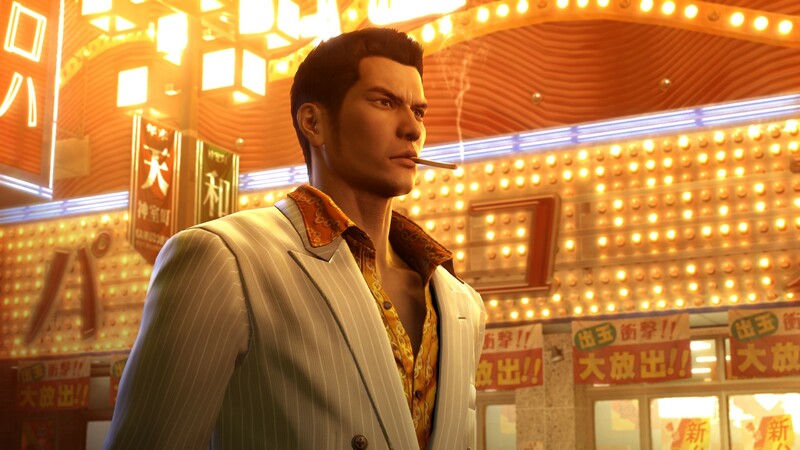 SEGA Europe has also confirmed Yakuza 0 will operate at 4k, 60fps. Pre-orders are now live for Yakuza 0, complete with a digital deluxe edition and pre-launch discount. 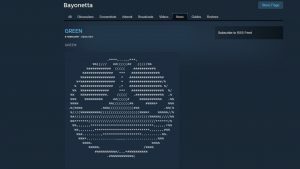 Click here for Yakuza 0’s Steam Page. Click here for Yakuza Kiwami’s Steam Page. In additon, Valkyria Chronicles 4 has now been confirmed for PC too. Its page is here. Several not-very-cryptic pieces of ASCII art have been posted to the Steam pages of Bayonetta, Vanquish, and Valkyria Chronicles, hinting that a PC port of crossover puzzler Puyo Puyo Tetris is inbound. It’s very in-line with previous PC port teasers (Vanquish was first hinted at in Bayonetta PC’s files, for instance), and the timing seems about right given yesterday was actually “Puyo Puyo Day”. Considering Puyo Tetris is now available on a staggering number of platforms, it makes sense to push into PC territory; it’ll also be the first official Puyo release on PC since 2004’s Puyo Pop Fever. 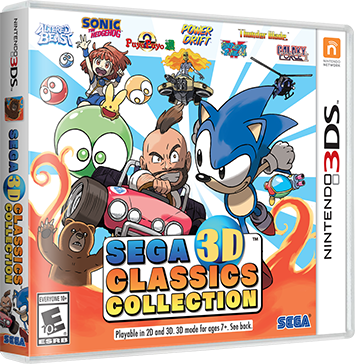 It’s nice to see SEGA Europe continue to deliver on their promise of PC ports, at any rate! SEGA Europe have finally committed to a release of Yakuza 0. The European version of Yakuza 0 is planned to arrive in, “early 2017”. The game will launch as both a physical and digital release on PS4, which makes a nice change considering Yakuza 5 was a digital only release. 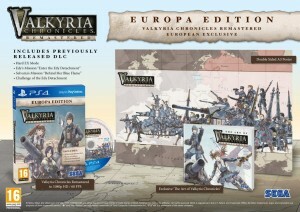 SEGA Europe have revealed a ‘Europa Edition’ for Valkyria Chronicles Remastered. 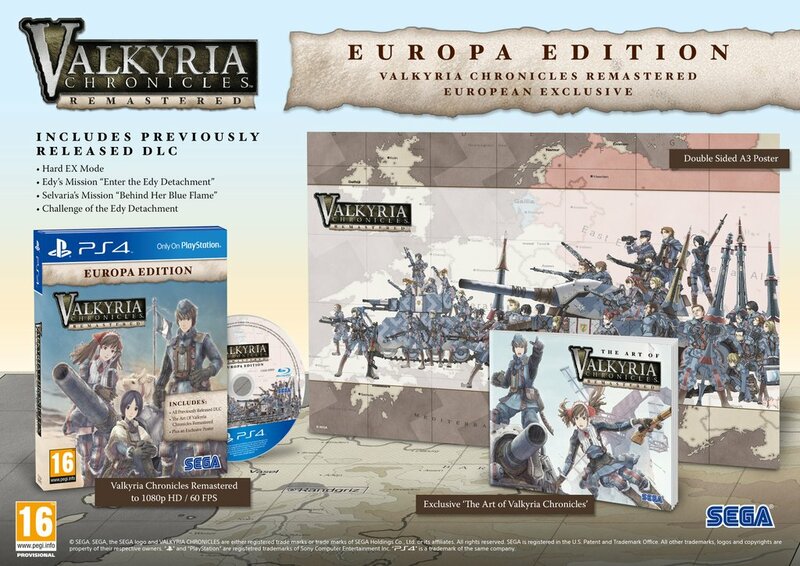 The European special edition will come with an A3 poster of the game’s cast and an exclusive ‘The Art of Valkyria Chronicles’ art book. On top of that, you also get all the previously released DLC with the game as standard. That’s a pretty nifty package if I do say so myself. Pricing hasn’t been revealed yet but Valkyria Chronicles Remastered launches in Europe on the 17th of May for PS4. 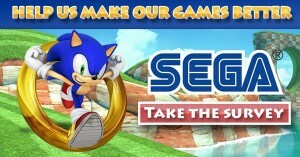 In what has to be one of the most peculiar decisions regarding Sonic Boom, the CG animated series that ties in with the video games will air in Europe in Autumn 2015 despite the games based on the series being released in November of this year. The Sonic Boom cartoon airs in North America and France later this year which ties in nicely to the releases of the Sonic Boom video games which act as prequels to the series. The closer release windows for both the series and games in these territories are obviously designed to compliment each other and boost sales of the game as well as interest in the show. 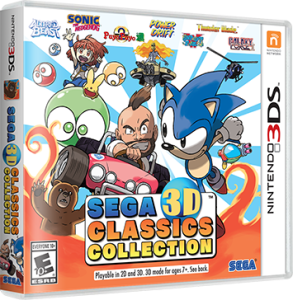 So how does SEGA Europe intend on promoting the Sonic Boom games in the rest of Europe now the cartoon as fallen to late next year? Only time will tell but we’d bet some serious cash that the games are not going to sell as well in this territory when compared to France and North America unless SEGA Europe are willing to put some money into a big marketing campaign.